Hello my name is Dairik Amae. I was born and raised abroad so I am fluent in English. 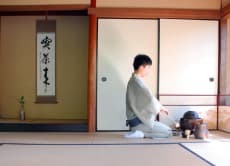 I wish to share the intimate culture of Japanese tea ceremony with you.